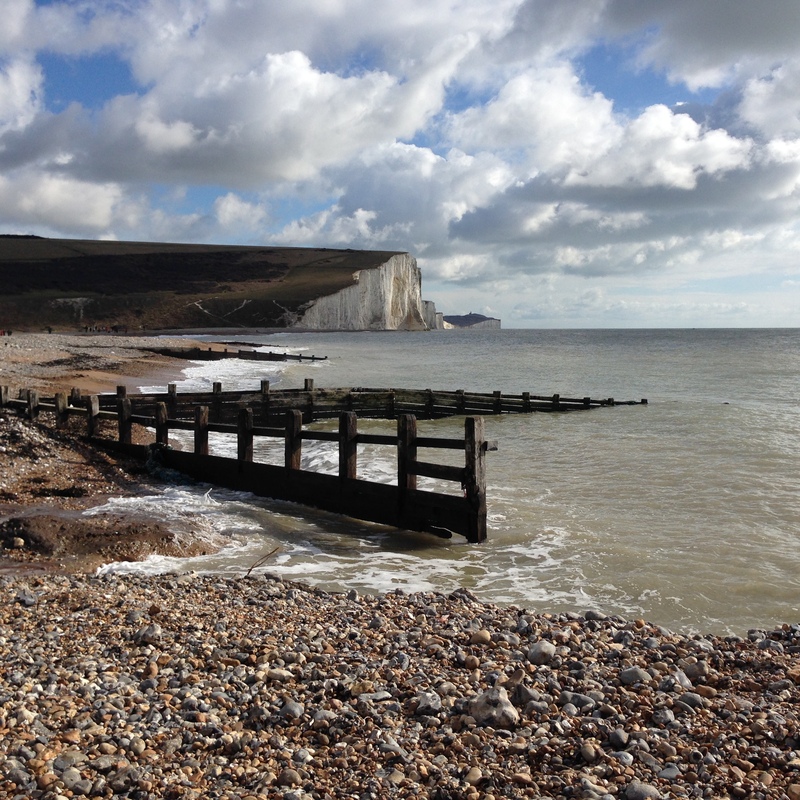 Living in London, I tend to forget that I am living on an island and the seaside is just a short train ride away. 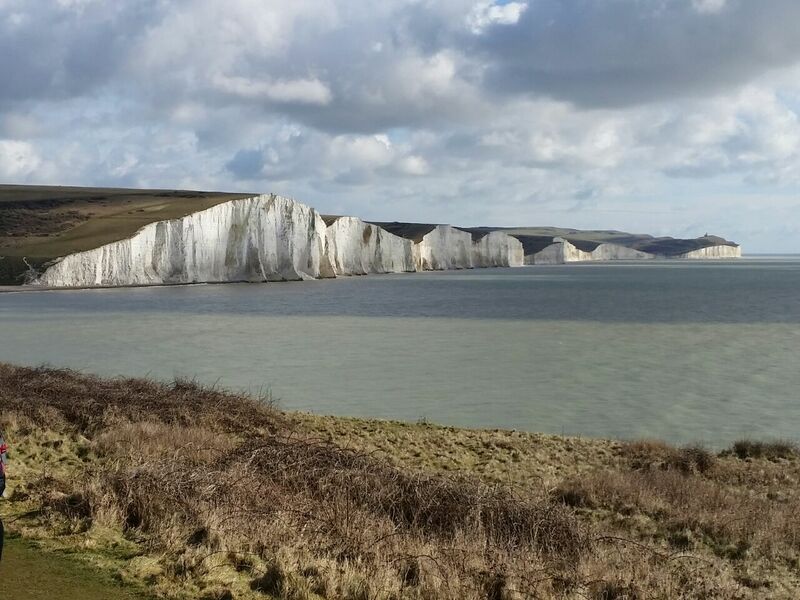 This weekend we embarked on a challenging 21km hike on the Seven Sisters in East Sussex. It was organised by a meetup group called Outdooraholics. With us were our good friends Priyanka and Rahul. I have hiked a little with school and more recently a trip around Virginia Waters with kids and strollers in Tow – so the pace was slow. We had an early start to our day by meeting in Victoria Station at 9am. We grabbed a quick coffee and head out to catch the train. We were a group of about 40 and the group was friendly and spirits were high! Our guides were Tracy and Andy who are a couple that met on one of the Outdooraholic hikes! They now lead their own hikes and are scouting for some international hiking destinations as well! 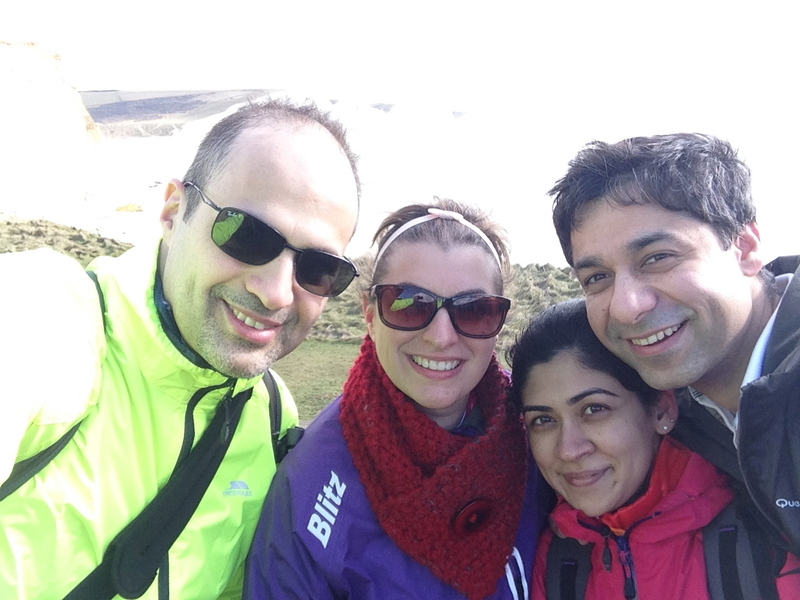 We arrived at New Haven around 10:30 – after a safety briefing we were eased into the walk with 2 small hills. The sisters were in the distance. Tracy laughed at my new shoes and warned me they wouldn’t look as clean after walking by the river bank. 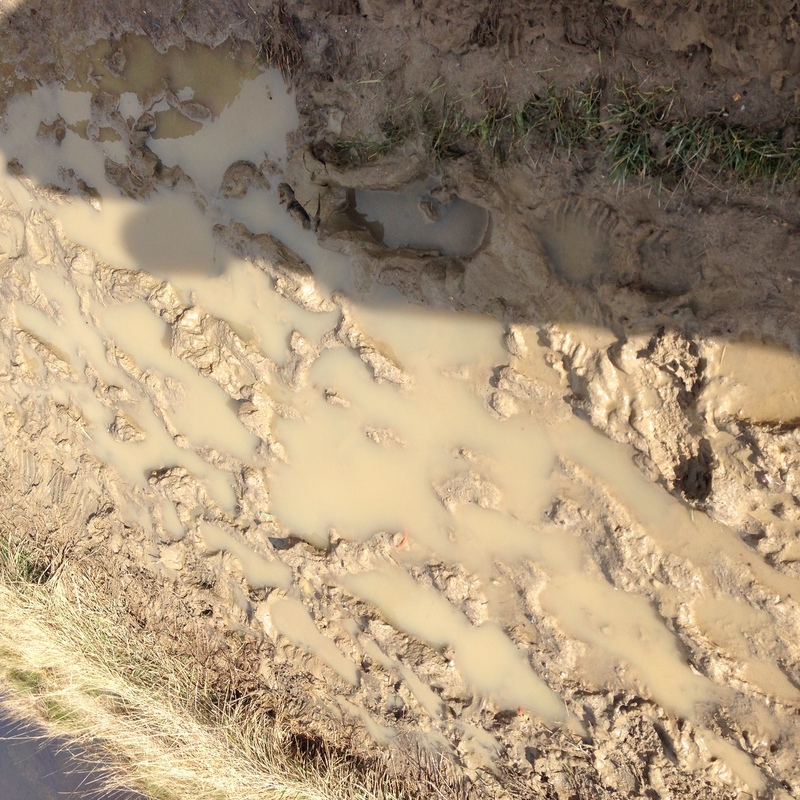 After a week of rain the mud was thick and oozy. 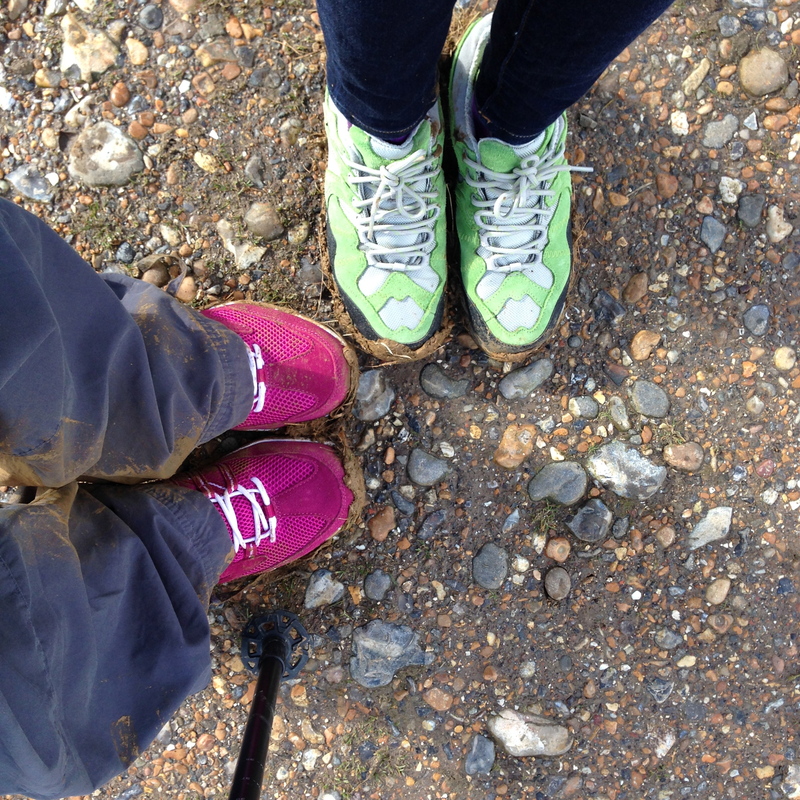 We were slipping and sliding around – the shoes were nearly lost! I fell and got thorns in my hands from grabbing onto the bushes to avoid falling into the river which was a within arms reach! The river bank seemed to go on forever but we reached the end and climbed a small hill before we stopped for our first break. We sat up on the hill with the beach below us and ate our packed lunches. 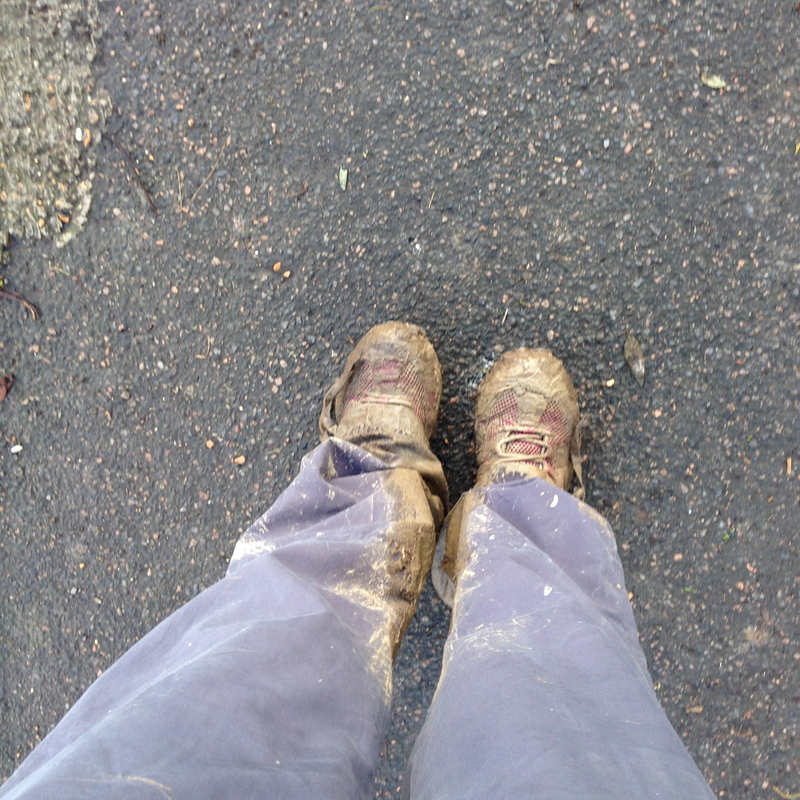 I had my blisters mended and very ungracefully changed my muddy clothes behind a bush – which was very challenging with wet feet and with nowhere to sit. Setting off on our adventure! The shoes before the muddy river bank! 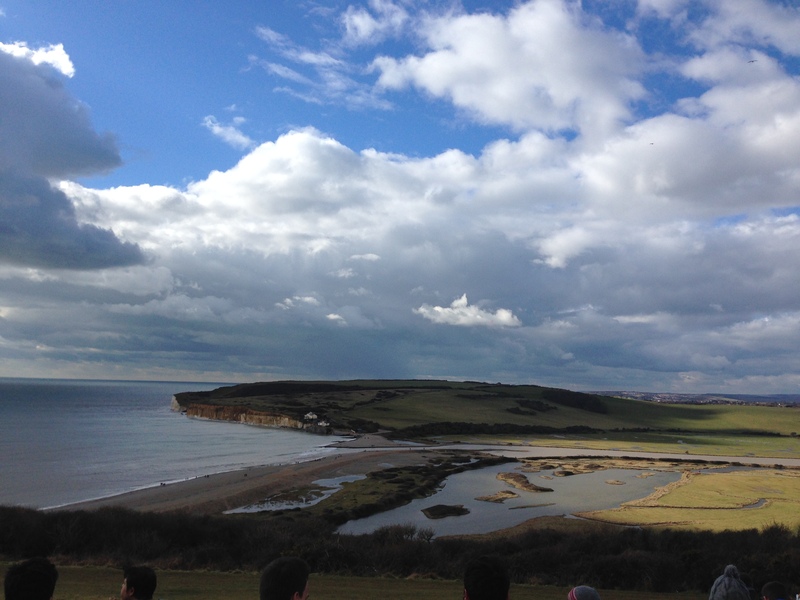 Our lunchtime view – not bad! The next phase was the towering Seven Sisters. From far away they are so beautiful, raw and rugged, and look deceivingly benign. We had seven peaks and seven troughs to get through. Let’s just say what made the difficult hike bearable was looking forward Ahmad and Rahul racing down the troughs and just enjoying the sound of the sea crashing against the cliffs. The colours were so beautiful with so many shades of blue and grey in the sea against a backdrop of clear blue skies and white clouds – the weather was perfect. Through the clouds was a beam of sunshine in the middle of the sea like a flood light. The next rest stop was two-thirds of the way through the hike. We sat and had a quick tea and shared a chocolate and hazelnut cake and marched on to our final leg of our journey. There were two more hills which were longer to walk but less steep, so they went by faster with nice company and chit chatting along the way. 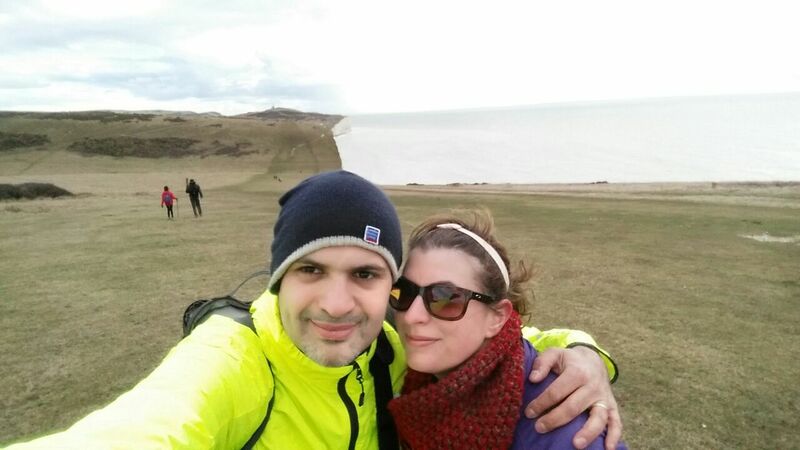 We then came to Beachy Head which is the famous point of Suicide for some reason – I don’t know why anyone would choose that way to die – but each to their own I guess. In the not so far distance was a small town – CIVILIZATION! 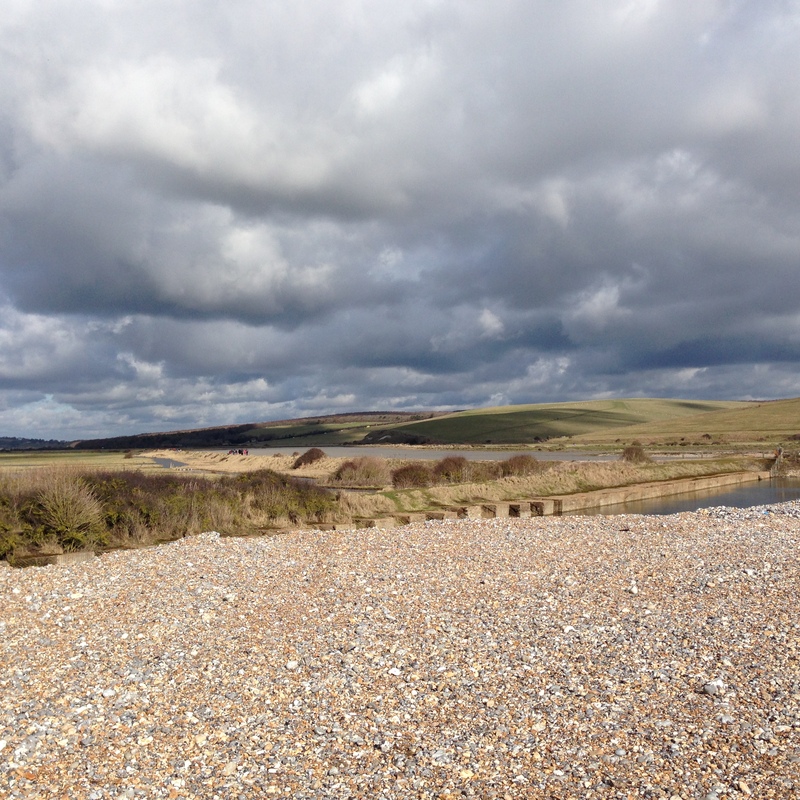 We came to the end of the path thinking we had reached the station but there was still a couple of kilometres to go walking by the Eastbourne seaside which was really nice. We finally reached the trendy Bibendum pub and congratulated ourselves with a celebratory high five. The train ride back to Victoria Station was quick and luckily we found a black cab right outside Hampstead tube station to take us home. 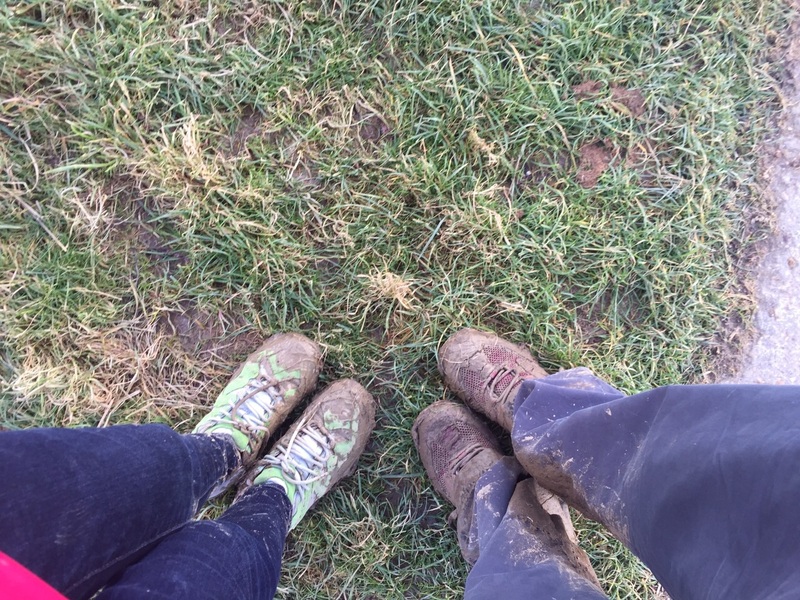 Just like the children’s classic – We’re going on a Bear Hunt – we walked through the long wavy grass and thick oozy mud, our little bear hunt was quite an adventure!